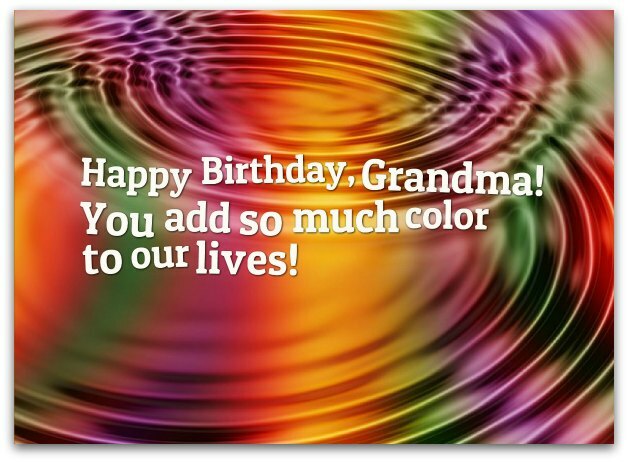 The best grandma birthday wishes are beautifully written and, even more importantly, are as unique as your grandmother. 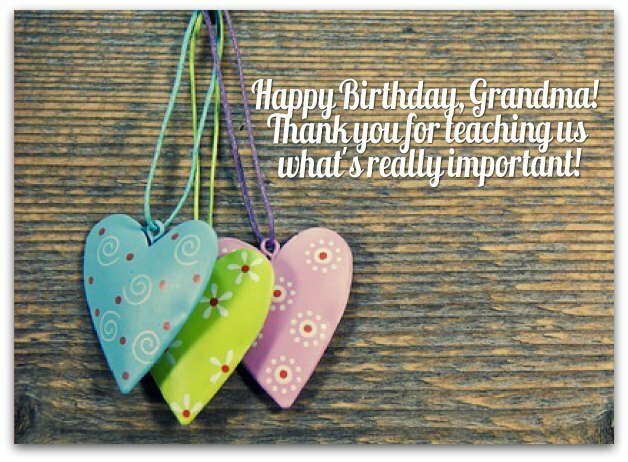 The more distinctive your grandma birthday message, the better it will be...and the more special your granny will feel on her birthday. To show that you're grateful for the important role your Grandma plays (as your second mother and, for some, as their mother), choose grandmother birthday greetings that honor her with words of unconditional love, caring and appreciation. The birthday messages for grandmothers in this section are 100% unique — written not only with my own grandmothers in mind, but also my mother and mother-in-law, two of the best grandmothers ever to grace this planet. The world's best grandmothers: My mother (left) and my mother-in-law (right). Every birthday wish in this section comes from their loving, caring and inspirational ways. Recently, I read an article that described grandmothers as "angels in training" (your typical grandmother, I guess). That description probably reflects what most people think of their own grandma. It's what I've always thought about my two. That's what my son and daughter also think — about my mother and mother-in-law. So, sure, grandmas are super special. But grandmothers, like their children and grandchildren, come in many shapes and sizes (read: personalities). As a result, you can't just send one of those generic grandma birthday wishes and hope for the best. You have to take a 10-pronged approach. Why 10? Because grandmothers generally come in nine basic types, according to a recent article I read. I added the 10th type myself (based on my own grandmothers). You can read this piece for more details on each type — just scroll down this page and you'll find a link to it. For each granny type, I recommend the kind of grandma birthday wishes you should send. So, just pick the type of grandma you have and, presto, you'll know instantly the kind of birthday message you should choose. TLC Grandma (This is my contribution to the list) - This grandmother is a wonderful combination of warmth, kindness, laughter and love. So figuring out what message to write is easy: sentimental or funny birthday wishes. Whatever you do, start with an option below that says everything you want to express...and go from there. You're more than a Grandmother to me. You are an inspiration, a true role model. I love you, Grandma! Happy birthday! Happy birthday, Grandma! I love you so much for so many reasons, but the biggest one is that you're the way you're supposed to be: you. Happy birthday, Granny! May you enjoy as many special days of immense joy, incredible wonder and great health as you brought everyone around you (in other words, too many days to count). Happy birthday, Granny! An amazing grandmother like you doesn't grow on trees — just on us. We love you more than we can ever express in this birthday wish. This is the kind of birthday greeting that any person, let alone any grandmother, would like to receive...because it pays tribute to the "wholeness" of every human being. One role does not define us. We are the sum of many roles, so to speak. And that includes, doubly so, your own grandmother. Happy birthday, Grandma! Out of all the people I know, you are undoubtedly the most incredible. 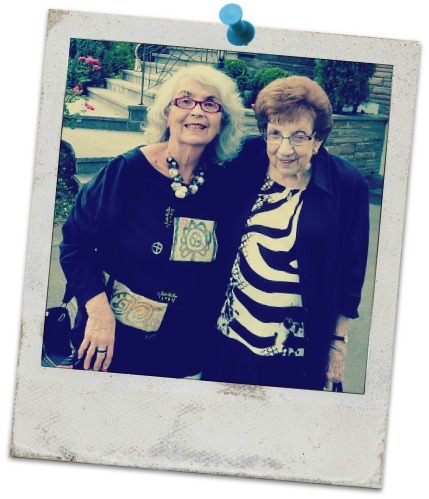 It's not just because you're my grandmother — it's also because you're an incredible woman, nurturer, mentor, comforter, caregiver, organizer, chauffeur, cheerleader and friend. It's not only your home that's open to us. You've also opened your heart, soul and mind to who we are and what we want to be. Happy birthday to the #1 Grandma in the World. Value is in the eyes of the beholder. When we behold you, everything you are and all you do, you become more and more valuable in our eyes every birthday of yours. Like the finest vintage, there's nothing quite like you. Whenever your birthday comes around, I'm not reminded about your age. I think once again, with awe, about everything you've accomplished during your lifetime. You're truly amazing. Have an amazingly special day! You're the world's best Grandma! I'm so lucky to have a grandmother like you! Wishing you many happy returns of the day. Happy birthday, my darling Grandma! You've taught me so many life lessons — just by example — but they can all be summed up in three words: love, friendship and kindness. What a beautiful legacy. A hundred candles to light up your birthday cake would not equal how much light you bring into our lives. We love you, dear Grandma! Happy birthday! Grandma, may you have a birthday that exceeds every expectation you have — with more loved ones than you've ever imagined by your side. I am so proud you're my Grandma. Your life is full of examples of your love and kindness. Only warm wishes on your special day! Happy birthday to the greatest grandmother! Think all grandmas are the same? According to an article I just read, there are nine different types (plus one other kind I added based on my own experience). I'm sure that there are many more types out there, but these 10 are pretty basic and should give you enough insight to make your choice of grandma birthday wishes much easier. 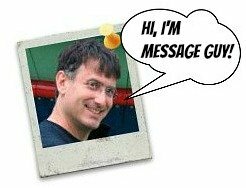 Click here if you would like to read the article.